Eating right and protecting your hearing have some parallels. It sounds smart, but not many of us have a good idea of where to begin. If there aren’t any noticeable noise dangers and you don’t think your environment is especially noisy, this is especially true. But daily life can put stress on your ears and your senses, so your auditory acuity can be preserved if you practice these tips. If you want to continue to enjoy the sounds around you, you need to do everything you can to slow down the deterioration of your hearing. 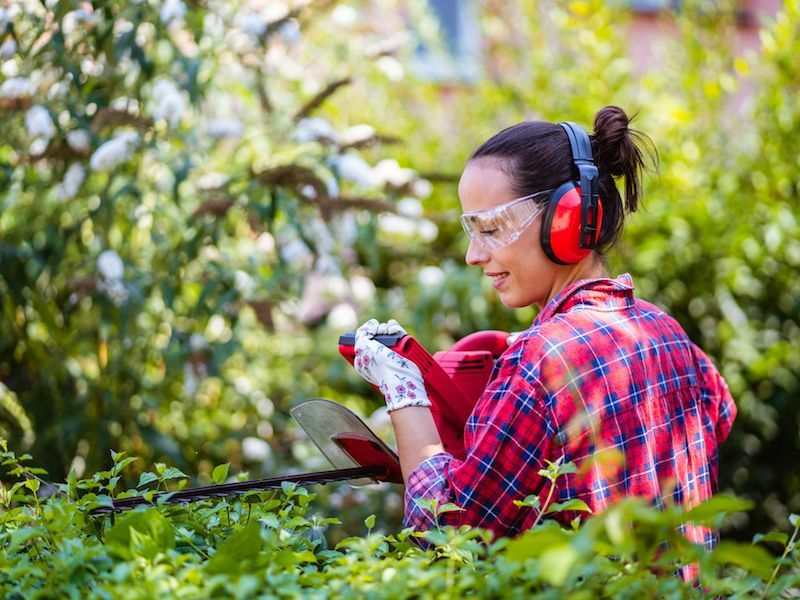 Using ear protection is the most practical and simple way to safeguard your ears. This means taking basic actions to lessen the amount of loud and harmful noises you’re exposed to. Ear Plugs, which are put in the ear canal. Ear Muffs, which are placed over the ears. Neither form of hearing protection is inherently better than the other. Each style has its advantages. Your choice of hearing protection should, most notably, feel comfortable. But when to wear hearing protection is the question. Noise that is painful is commonly considered harmful. But in reality, noises can begin to damage your hearing at a much lower level than you might anticipate. After only a couple hours, as an example, the sounds of traffic are enough to injure your hearing. Knowing when sound becomes dangerous, then, is a vital step in safeguarding your hearing. 95-100 dB: This is the normal volume of your earbuds or the level of farm equipment. After around 15-20 minutes this volume of noise becomes harmful. 85 decibels (dB): After about two hours this volume of sound is hazardous.Your hairdryer or a busy city street are both circumstances where you will find this level of sound. Over 100 dB: Your hearing can be very rapidly injured by this. Anything over this limit can damage your hearing in minutes or seconds. For example, rock concerts and jet engines will damage your hearing in 30 seconds. Now that we have a general concept of what levels of noise could be hazardous, we can take some precautions to make sure we minimize our exposure. The trick is that, once you’re out and about in the real world, it can be hard to determine what’s too loud and what isn’t. Your smartphone can now be used as a handy little tool. Sound meter apps exist for every type of smartphone. Having a live sound meter with you will help you measure everything you’re hearing in decibels, so you’ll have a much better understanding of what harmful levels really sound like in your daily life. A smartphone with earbuds is usually the way people listen to music nowadays. This sets up a risky scenario for your hearing. Over years of use, earbuds set to a substantially high volume can cause significant damage to your hearing. That’s why safeguarding your hearing means keeping a focused eye on your volume management. You should not increase the volume in order to drown out noises somewhere else. in order to make sure that volume doesn’t get too loud, we suggest using volume configurations or app settings. Earbud use can become something of a negative feedback loop if your hearing begins to decline; in order to make up for your faltering hearing, you may find yourself continuously increasing the volume of your earbuds, and in the process doing more damage to your ears. You may think of a hearing exam as something you schedule when your hearing has already begun to diminish. The problem is that it’s not always easy to identify a problem in your ears without a standard to compare results to. Generating data that can be used for both diagnostic applications and for treatment can best be accomplished by scheduling a hearing examination and screening. This will give you a little extra perspective for future hearing choices and ear protection. It would be perfect if you could continuously protect your hearing without any difficulty. But challenges are always going to be there. So safeguard your hearing whenever you can, as often as you can. You should also get your ears tested regularly. Hopefully, these tips will help you get a good start.